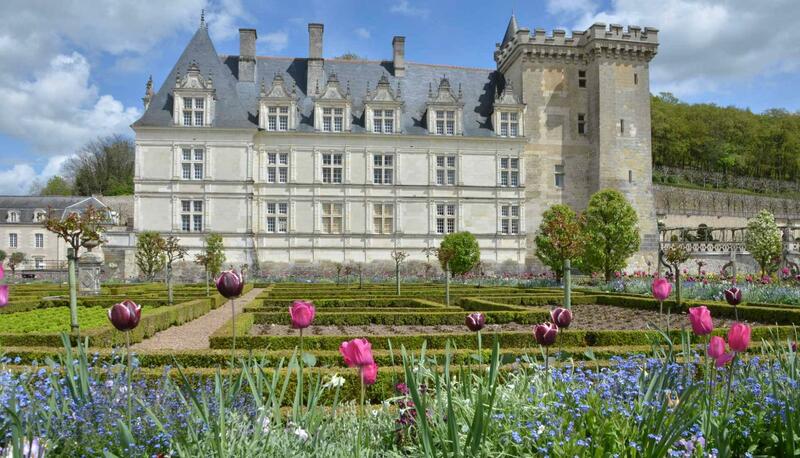 Three days is the perfect amount of time for enjoying the Loire Valley and its châteaux! The starting point of your itinerary is the city of Amboise. Situated just 2hr 10min by car from Paris (226 km), you can easily travel here in a hire vehicle. If you prefer to travel by train, there are two options available: go straight to Amboise in 1hr 45min from Paris-Austerlitz train station, or travel to Saint-Pierre des Corps (near Tours) by TGV train in 1hr 15min from Paris Montparnasse or from Paris-CDG airport in 1hr 40min. From there, hire a car or treat yourself to a ride in a tourist taxi. 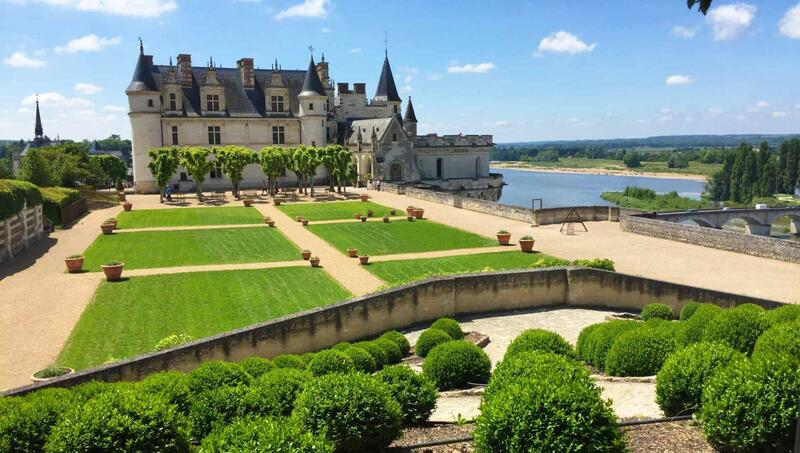 The majestic Royal Château of Amboise, which was a royal residence during the Renaissance period, and its gardens are built overlooking the Loire. The royal suite is home to beautiful rooms that are well worth a visit, such as the splendid Council chamber, Henry II’s bedchamber and the Louis Philippe room. Last but not least, visit the Saint-Hubert chapel which is the final resting place of Leonardo da Vinci and whose magnificent stained-glass windows depict the life of Saint-Louis. If you’re feeling like a sweet treat after your visit, stop by at Pâtisserie Bigot on Place du Château. Afterwards, wander through the little streets in the pedestrian city centre or along the Loire waterfront. At lunchtime, enjoy a delicious meal in the Renaissance-style L’Auberge du Prieuré restaurant in the park of the Château of Le Clos Lucé, run by Sieur Sausin, an expert in historic cooking. Leonardo da Vinci was invited to the Château of Le Clos-Lucé by Francis I and arrived here in 1516, bringing with him the Mona Lisa and other major works. He spent his final years working here on various projects for the King and died in his bedroom in 1519. Discover the life and multiple talents of the Renaissance genius during a visit of his home with its rooms and models. At the end of the visit, carry on to the next stage of your journey. 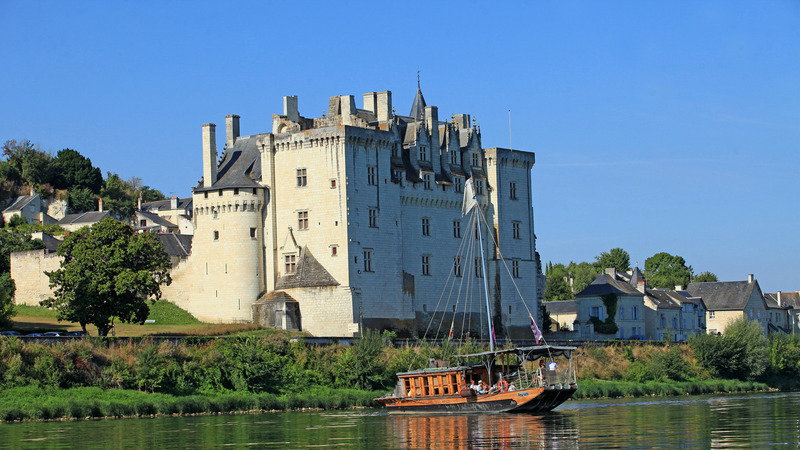 Before visiting the Château of Langeais, you may wish to go on a trip on the Loire. Stop in Rochecorbon, which is 25 minutes from Amboise (21 km), and board the Le Saint-Martin de Tours for a short guided tour. 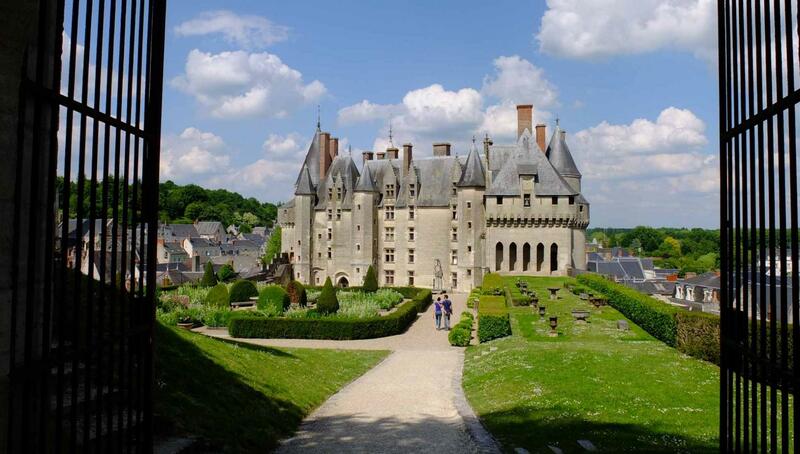 Next, visit the Château of Langeais which is just 55 min by car from Amboise (54 km) or 30 min from Rochecorbon (40 km). It is actually composed of two châteaux: one built by Louis XI and the tower by Fulk the Black, which is the oldest keep in France. For dinner and accommodation in Langeais, go to the Au Coin des Halles restaurant and the L’Ange est Rêveur guest rooms. Alternatively, travel to Saint-Patrice which is 15 min from Langeais (10km) and stay in the Le Château de Rochecotte hotel restaurant. Visit the Château of Villandry, situated 20 min from Langeais (12 km) or 30 min from Saint-Patrice (28 km). Visitors come here in particular to see the superb French formal gardens, which are in perfect harmony with the rest of the estate (climb up the belvedere for a stunning view). Eat at the château in the La Doulce Terrasse restaurant or dine in the L’Étape gourmande restaurant where you can also enjoy local produce. 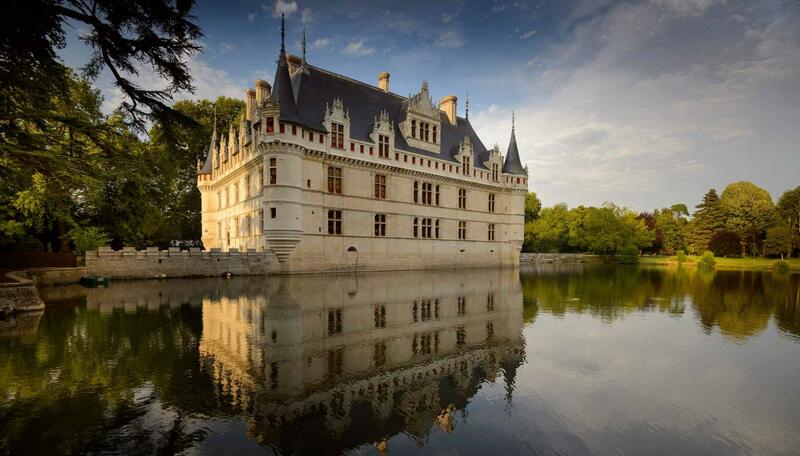 Go to the Château of Azay le Rideau, which is 20min by road from Villandry (11 km). Built on an island in the middle of the Indre, its reflection in the river reveals its facades built in the early French Renaissance style. Don’t miss out on a walk through its park and the new Garden of Secrets, which is home to a conservatory of ancient vegetables, a flower collection and a garden specially designed to attract butterflies. 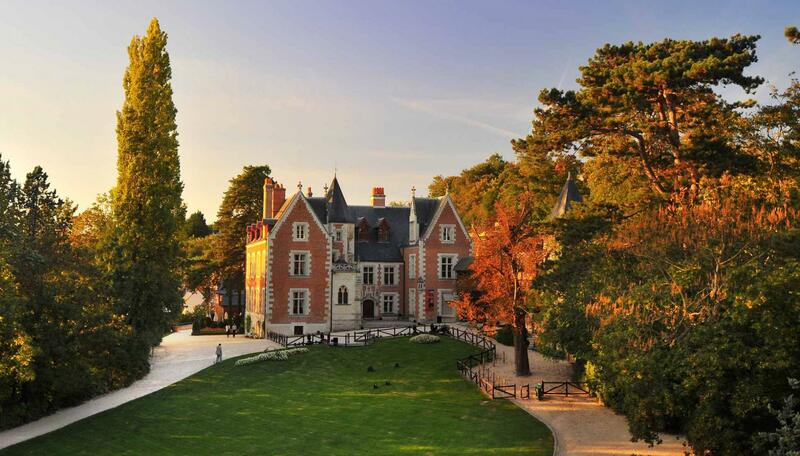 Discover Touraine appellation wines at Château de l’Aulée, just 5 minutes’ drive away. 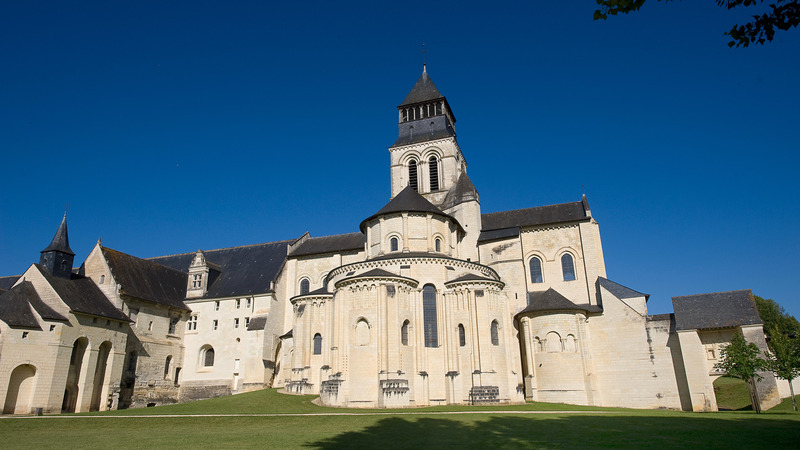 Continue your journey in the direction of Fontevraud, which is 40 minutes from Azay-le-Rideau (45 km). On the way, stop in Candes-Saint-Martin. Built on the confluence of the Loire and the Vienne, this charming village is listed as one of the “Most Beautiful Villages in France”. It is also home to the exceptional Saint-Martin collegiate church. For your evening meal, three venues in unique settings will certainly not fail to delight. In Fontevraud, Le Restaurant, which nestles in the heart of the Royal Abbey of Fontevraud, promises refined and innovative dining, while in Montsoreau you can choose between dinner on a barge in the Aigue Marine restaurant or in a troglodyte setting at Le Saut aux Loups. Choose from several accommodation options offering charm and prestige for the night. Firstly, Fontevraud L’Hôtel and secondly, La Marine in Montsoreau which is 7 minutes from Fontevraud (4 km). Note that Montsoreau is also one of the “Most Beautiful Villages in France”. Lunch will certainly be an unusual affair if you dine in the troglodyte restaurant called Caves de la Genevraie in Louresse-Rochemenier, located 45 minutes from Fontevraud (41 km). 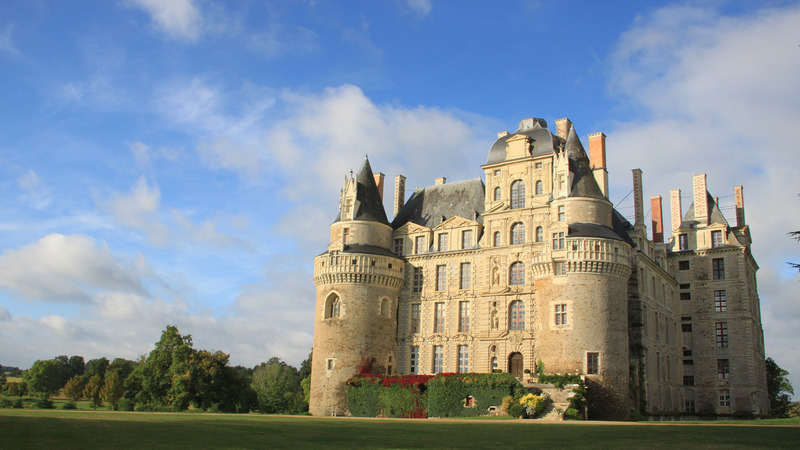 Discover the tallest château in France and its Classical architecture: the Château of Brissac. Its impressive romantic park is also well worth walking round. At the end of the visit you will no doubt be able to taste the Rosé d’Anjou wine made using grapes from the château. To return to Paris by car, allow 2hr 45min from Brissac (310 km). If you’re travelling by TGV, go to Angers railway station which is 20 minutes away by car (20 km). Then allow 2hr to reach Paris by TGV train.